FORT KENT, Maine -- A nurse who treated Ebola patients in West Africa Wednesday ended her voluntary quarantine Wednesday, signaling a potential showdown with state police monitoring her home and state health officials seeking to legally enforce it. 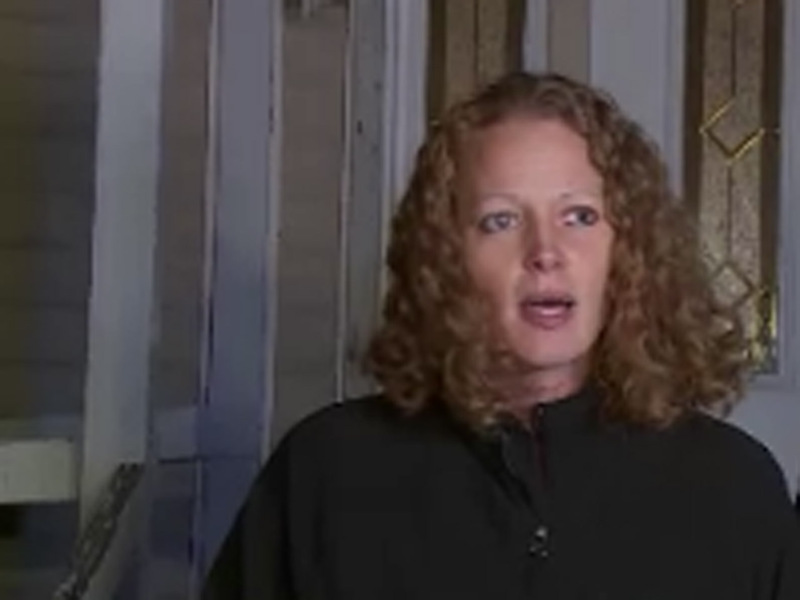 As police watched from across the street, Kaci Hickox briefly left her home Wednesday night for an impromptu press conference and reiterated her concerns about the state's quarantine guidelines. State officials were seeking a court order allowing state troopers to detain Hickox, according to Department of Health and Human Services Commissioner Mary Mayhew. Hickox, who has shown no symptoms of Ebola, told NBC's "Today" show and ABC's "Good Morning America" she was abiding by the state's voluntary quarantine by having no contact with people Tuesday and Wednesday. But she said she'll defy the state if the policy isn't changed by Thursday. "I remain appalled by these home quarantine policies that have been forced upon me even though I am in perfectly good health," Hickox said on "Today." Mayhew maintained the easiest way to maintain public safety is for Hickox to stay at home. "I do not understand why this common sense approach, to ask someone to stay in their home for 21 days during the incubation period, why that is not a reasonable request to ensure, out of that abundance of caution, that we are protecting the people of this state," Mayhew said at a press conference. Speaking to reporters separately Wednesday evening, Hickox said she appreciates what the government of Maine is trying to do, but says it is unnecessary. "I completely understand that the state's purpose is to protect. I have worked in public health for many years that is my purpose," Hickox said. "We have to make decisions based on science. You could hug me, shake my hand, there is no way I would give you Ebola." Her lawyer, Norman Siegel, said Hickox isn't willing to cooperate further unless the state lifts "all or most of the restrictions." But state officials continued to assert that she should remain in isolation until Nov. 10, the end of the 21-day incubation period for Ebola. A judge would have to grant the state's request, in what could serve as a test case for the legality of state quarantines during the Ebola scare. Until an order is signed by a judge, state police will monitor Hickox's movement and interactions if she leaves her home, Mayhew said. She also explained that the state has no legal authority to arrest Hickox unless it has a court order, but will continue to monitor her until they do have that authority. Generally, states have broad authority when it comes to such matters. But Maine health officials could have a tough time convincing a judge that Hickox poses a threat, said attorney Jackie L. Caynon III, who specializes in health law in Worcester, Massachusetts. "If somebody isn't showing signs of the infection, then it's kind of hard to say someone should be under mandatory quarantine," Caynon said. Ebola, which is spread through direct contact with the bodily fluids of an infected person, has killed thousands of people in Africa, but only four people have been diagnosed with it in the United States. People can't be infected just by being near someone who's sick, and people aren't contagious unless they're showing symptoms, health officials say. Guidelines from the U.S. Centers for Disease Control and Prevention recommend monitoring for health care workers like Hickox who have come into contact with Ebola patients. But some states, including Maine, are going above and beyond guidelines. Hickox, who volunteered in Sierra Leone with Doctors Without Borders, was the first person forced into New Jersey's mandatory quarantine for people arriving at the Newark airport from three West African countries. Hickox spent the weekend in a tent at a New Jersey hospital before traveling to the home of her boyfriend, a nursing student at the University of Maine at Fort Kent. "I am not going to sit around and be bullied by politicians and forced to stay in my home when I am not a risk to the American public," she said. Maine Gov. Paul LePage, who canceled campaign events Wednesday to keep tabs on the situation, commended all health care workers who have volunteered in Africa to treat Ebola patients. But he said the state must be "vigilant" to protect others. "We hoped that the health care worker would voluntarily comply with these protocols, but this individual has stated publicly she will not abide by the protocols," LePage said. "We are very concerned about her safety and health and that of the community." State law allows a judge to grant temporary custody of someone if health officials demonstrate "a clear and immediate public health threat." The state's court filing was expected late Wednesday or early Thursday, officials said. If a judge grants the state's request, then Hickox will appeal the decision on constitutional grounds, Siegel said. "Our position is very simple: There's no justification for the state of Maine to quarantine her," he said. "She has no symptoms, and therefore she's not contagious. And she's not at a risk to the public or the health and welfare of people in the state of Maine."